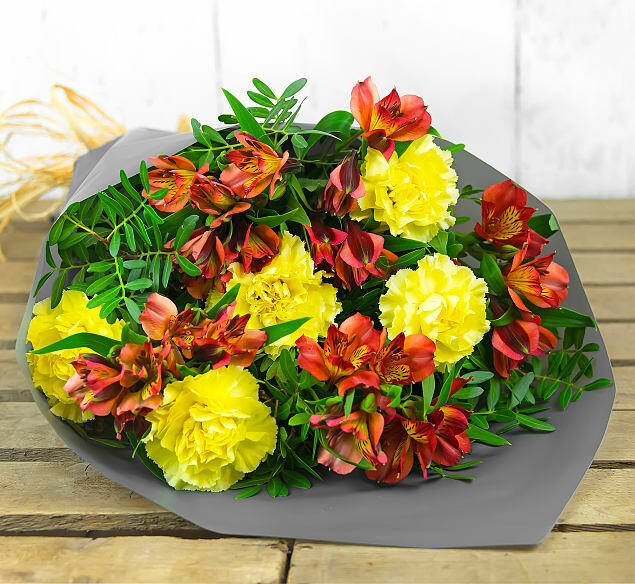 An elegant and bright bunch of carnations accompanied by beautifully contrasting alstroemeria and lush green pistacia. 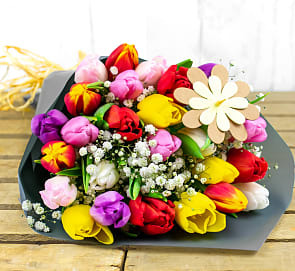 No matter the season or occasion, this is a brilliant bouquet that will make anyone's day that much brighter. All beautifully arranged and presented by our expert florists, spoil yourself or somebody you love today!